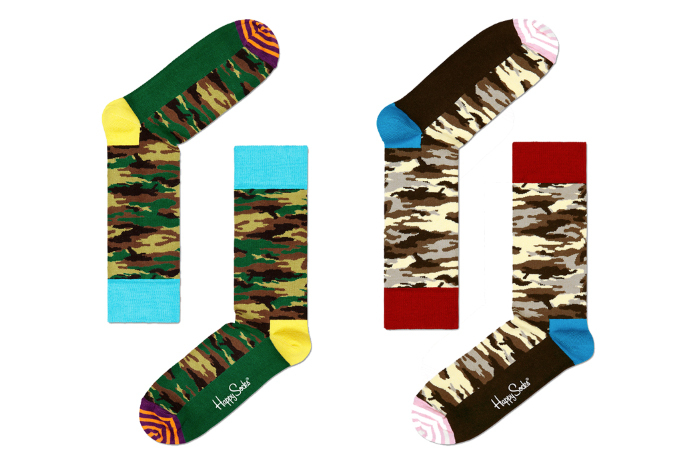 Happy Socks hop on the camo bandwagon with this double pack of camouflage socks for your feet. We love a good pair of Happy Socks here at TDS and so it’s no surprise that we like these camo variations (the desert camo especially). A little late to the party if we’re being completely honest, but better a little late than never at all. Typical colour pops on the heel and ankle finish these socks off in traditional Happy Socks style, while the stripes on the toes add an extra element of craziness that debatably could have been left in the design lab. 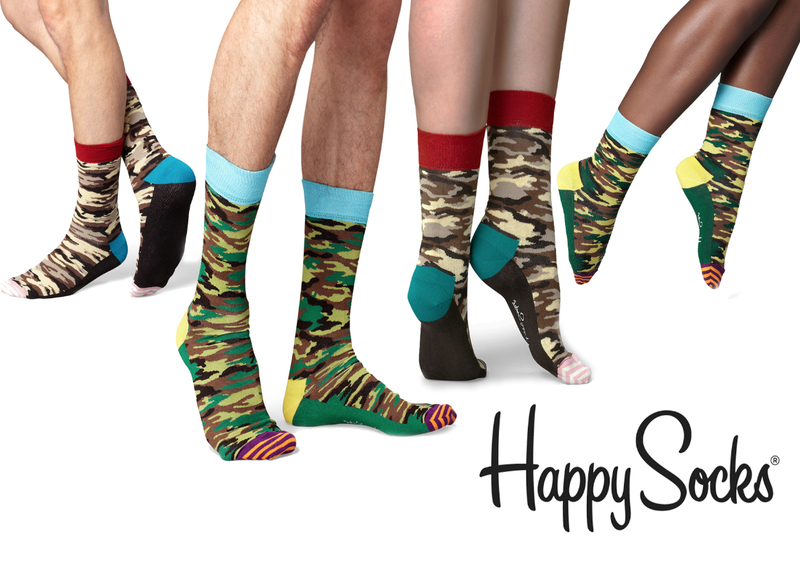 The pack will be available as of July from the Happy Socks webstore and all good retailers.